At NCISS, we also understand you need tangible benefits that also help you stay in business and help your bottom line. To start, NCISS is now on social media – expanding our mission, message and reach. Visit http://conta.cc/2aNGIvI for benefits that KEEP you in business! 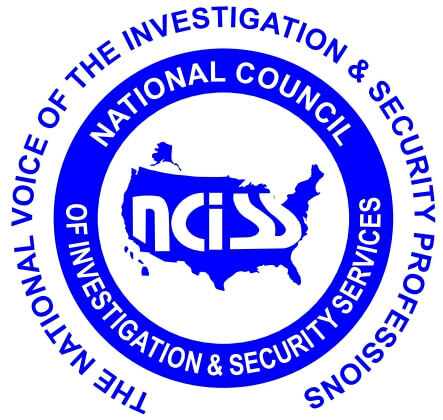 The National Council of Investigation and Security Services, Inc., (NCISS - www.NCISS.org), is a cooperative effort of those companies and associations responsible for providing private security and investigation services to the legal profession, business community, government and the public. Each day we find an increasing number of problems confronting the orderly growth of our profession. These problems include, among others: overly restrictive legislation regarding training and standards, proliferation of legislation requiring local licensing, public misunderstanding and misinformation on the role and contribution of private investigators and security services, and an uninformed media. It is the role of NCISS to meet and solve these problems while seeking to uncover and recommend action on any hidden potential problems which may have an effect on our profession. Please feel free to contact me with any questions about membership and the benefits of NCISS. Permission to post this message to professional groups, associations and colleagues granted. Thank you and I look forward to welcoming you to the NCISS family!